FITBOMB: Can the Wii Fit Get You in Shape? Can the Wii Fit Get You in Shape? 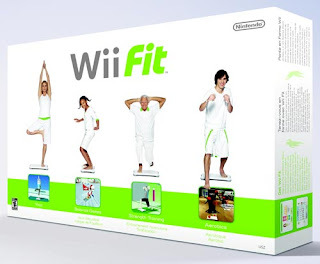 I'll confess that when the Nintendo Wii Fit exercise video game system hit the market a couple of years ago, I considered buying it. Having fiddled around with Wii Fit at friends' and relatives' homes, I knew it was a moderately fun diversion, albeit in a cheesy, "hey-look-it's-the-modern-techy-alternative-to-Twister-and-Charades" kind of way. Ultimately, though, I decided against it; my kids were too little to enjoy it, and I -- like a lot of other people -- had a sneaking suspicion that hitting the gym was going to produce far superior results to waving a little motion-sensitive controller around in front of the TV. Now, after about 20 million copies of Wii Fit have been sold, the American Council on Exercise (ACE) finally issued findings from two University of Wisconsin studies examining the purported benefits of Nintendo's Wii Fit system. The conclusions? After analyzing the six most aerobically challenging activities featured in the Wii Fit--including Free Run, Island Run, Free Step, Advanced Step, Super Hula Hoop and Rhythm Boxing--the ACE study revealed underwhelming results, with the exercise intensity of most exercises proving to be milder than expected. When played for 30 minutes, Wii Fit's Free Run and Island Run burned an average of 165 calories--the most out of the six activities tested--and yielded the highest energy expenditures. Rhythm Boxing expended an average of 114 calories, followed by Super Hula Hoop, Advanced Step and Free Step at 111, 108 and 99 calories, respectively. 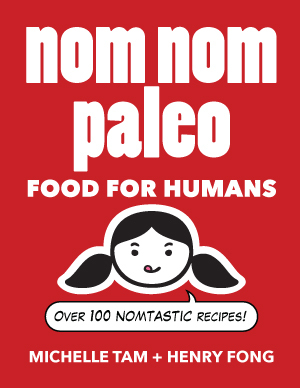 In all instances, researchers found that performing the actual activity as opposed to the virtual has a significantly higher caloric expenditure. This is especially evident with conventional step aerobics, which burns almost 12 calories per minute by typically stepping up onto a six-inch high bench, verses Wii Fit's Free Step and Advanced Step, which burn much less by stepping up onto the one- or one-and-a-half-inch balance pad provided. Similarly, its Rhythm Boxing activity burns just one third of the calories per minute of traditional boxing. Even though it shouldn't be surprising that giggling and lurching around in front of a video game console can't come close to matching actual vigorous exercise, given Nintendo's marketing hype, it is a little shocking that the Wii Fit activities burn so few calories in 30 minutes. According to Harvard Medical School, you can burn more calories in half an hour by just performing routine activities like walking or bathing and feeding your kids. In other words, if you're looking to lose weight or get in shape with the Wii Fit, look elsewhere. P90X sells for about the same price as the Wii Fit; although it'll take significantly more effort to make it through P90X (and tolerate Tony Horton), you'll get results that the Wii Fit will never deliver.